Experts have found a way to employ the body's natural healing power to treat a common heart defect linked with stroke and migraine. One in four people has a valve-like hole in the heart, known as a patent foramen ovale (PFO). The defect can be closed surgically using a graft, but this can cause damage to surrounding tissue. A team at London's Royal Brompton Hospital has used a "bioabsorbable" patch to solve the problem. The patch acts as a temporary plug until the body replaces it with healthy normal tissue, usually within 30 days. PFO, an opening in the wall between the two upper chambers of the heart, usually produces no symptoms, but in some people it significantly increases the risk of stroke and migraine. In the womb, the opening is necessary to allow efficient circulation of blood and oxygen before the lungs start working. After birth, the hole should close to separate the two chambers. Sometimes, however, this does not occur correctly. And when pressure is created inside the chest - for instance by coughing - a flap can open, allowing blood to flow in either direction. In turn, this means blood can bypass the filtering system of the lungs and if debris are present in the blood, such as small blood clots, these can travel to and lodge in the brain, causing a stroke. Dr Michael Mullen, the consultant cardiologist who has been using the device to treat his patients, said: "Traditional grafts are permanent and so can cause an inflammatory reaction, which can lead to problems. "Instead this treatment repairs the defect and then disappears in a natural way, leaving behind only the support framework made of fine wires. 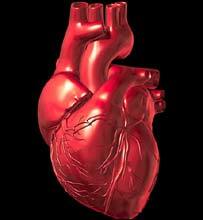 Unlike traditional devices, it should not interfere with future minimally invasive procedures in the heart." So far about 70 patients have been treated with the BioSTAR device, predominantly to reduce the risk of stroke because of their PFO. He said some of his patients have reported relief from their migraines since having the treatment. But Dr Mullen, who has an ownership interest in the company that makes the device, stressed that larger studies were needed to confirm this finding. The device is only licensed for minimising stroke risk at present. Susan Hayden of the Migraine Trust said: "At the moment this treatment is not indicated purely for alleviating migraine, whereas for stroke it is clear that the benefits outweigh the risks. "Also, PFO is only linked with certain types of migraine - migraine with aura, where the person experiences symptoms such as visual disturbances, numbness or dizziness. "These are not the most common type, and only account for about 10-15% of all migraine cases." Peter Wilmshurst, consultant cardiologist at the Royal Shrewsbury Hospital, said: "Although there is interest in the relationship between PFO and migraine, BioSTAR does not have a licence for PFO closure for migraine. Therefore one has to be cautious about reproducing statements about the efficacy of BioSTAR in relieving migraine." Paul Jansen of the Migraine Action Association said the findings offered some hope to migraine sufferers. "Hole-in-the-heart is reported to be implicated in stroke and there is more and more research that identifies that this could also be linked to the incidence of migraine, particularly migraine with aura. "As such we actively encourage the development of on-going research in this field." Some 6 million - around one in 10 - people in the UK get migraines.